The Machine Learning Group is a the community of researchers at Imperial College’s Department of Computing focusing on Machine Learning. 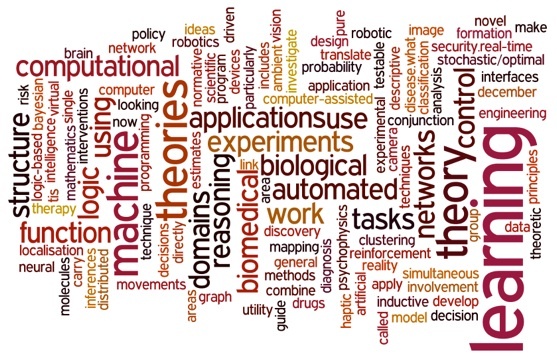 We embrace research at the interface of machine learning, artificial intelligence and its Big Data applications. We are part of the cross-faculty Machine Learning Initiative which offers college-wide events, seminars and research activities. At the data-level, ongoing research focuses on applying a wide variety of feature-based machine learning techniques in key application areas. Notable recent successes in these areas include the application of machine learning to medical imaging of the brain and heart, human emotions and social signals, robotic vision, autonomous systems, medical applications, computational cognition and Brain-Machine-Interfaces. At the knowledge-level, our key expertise lies in Relational and First-Order Logic Learning. Past research had major impact in scientific discovery in biological prediction tasks, security and semi-automated software engineering. Moreover, the closely related areas of and scalable data analytics. We are training leaders in the highly sought after domains of data scientists. 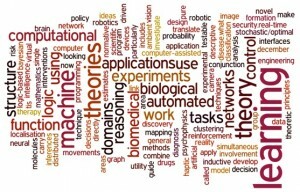 Our MSc program (Specialisation in Machine Learning) and PhD training will enable students to unlock this knowledge by means of sophisticated data mining and machine learning techniques, exploiting scalable data management and processing infrastructures as to advance the progress in various application domains, including medical image processing, robotics, neurotechnology, bioinformatics, security and human-centered computing. Please contact the group leader, Aldo Faisal, for further details on the Machine Learning Group within the Department of Computing and how to join.